Here’s a question I keep asking myself: What happened in the seventh season of Game of Thrones? By that, I don’t mean what were the series of events that transpired on the show. It’s easy enough to compile a plot summary that makes season seven sound reasonably coherent. I mean what was the purpose of anything that happened? What were the deeper themes or character dynamics being explored? Or, to put it another way: Was there a single storyline that didn’t endlessly run in circles while waiting for the Wall to come down and the White Walkers to march into Westeros? Season seven was, by and large, a waiting game. We knew Jon and Dany would probably hook up — but we had to wait. We knew somebody would figure out Jon’s parentage — but we had to wait. We knew the White Walkers would somehow threaten the Seven Kingdoms as they never had before — but we had to wait. This led to what might be Game of Thrones’ weirdest season yet. Season seven was often incredibly fun (those set pieces! ), but it felt more weightless than even some of its weaker predecessors (looking at you, season five). Right at the worst possible time, it’s become all but impossible to figure out just what anything on the show means. Let’s use season seven’s Sansa and Arya plotline as a microcosm for its issues as a whole. 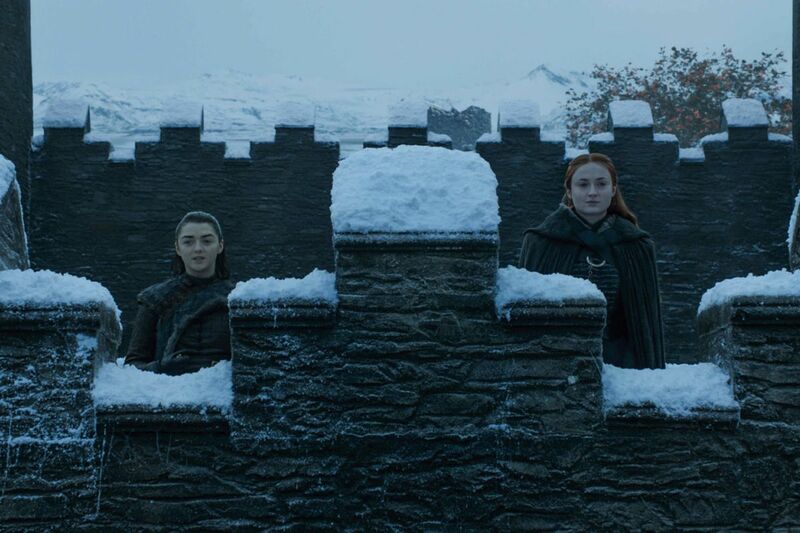 After Arya returns to Winterfell (and the two have a heartfelt reunion), Littlefinger begins to plant seeds of dissension in the sisters’ relationship, seeds that culminate in Arya threatening Sansa’s life in the season’s penultimate episode. It turns out, however, that Littlefinger was the one in danger, as Sansa and Arya catch onto his ruse (with an assist from Bran, who can see into the past). Arya ultimately slits his throat. The outcome of this plot — Sansa and Arya’s bond is stronger than ever, and the North also has a hold over the military forces of the Vale (who were formerly under Littlefinger’s command) — isn’t bad. But all of the legwork to get there was far too convoluted and makes little to no sense if you think about it for more than a couple of seconds. The inescapable conclusion is that the scenes themselves served little purpose other than to mislead viewers, in hopes of making the moment where Sansa reveals that it’s Littlefinger who’s on trial, rather than Arya, more surprising and satisfying. And the more you look at season seven as a whole, the more you realize that it pulls this same sort of trick throughout — stories make little sense at the macro level because the show is so intent on outmaneuvering the audience on a micro level. Game of Thrones’ reliance on this tactic gets even worse when you start to examine individual scenes from season seven within the context of their overall story arcs. Oftentimes, I would watch a scene and have no idea what it was supposed to convey, beyond raw plot information. The character dynamics the show had established were either pointlessly stretched out (as with Arya and Sansa) or heedlessly rushed (as with the gallop to get Jon and Dany into bed). And the show’s larger themes of power and its responsible wielding were largely thrown out the window in favor of a focus on big, catastrophic moments. Not every show needs to make its scene-to-scene intentions clear. For a concurrently running example, I often have no idea what the point of a scene is on Twin Peaks, but part of the show’s appeal is getting lost in its strange, mysterious world. Game of Thrones, however, was built atop straightforward, muscular storytelling. You knew the reasoning behind every scene. You knew what each character wanted in that scene. And you knew the consequences of what would happen if they didn’t get it. but in season seven, the series quit showing its work. Too many scenes existed just to exist. When you consider that Game of Thrones is no longer being adapted from George R.R. Martin’s books, but from some outlines he wrote for what he thought the final books mightbe, the shift we saw in season seven makes sense. Previous seasons could strand Arya in a plot cul-de-sac (as when she spent the bulk of season two as Tywin Lannister’s cupbearer), but use that plot cul-de-sac to both deepen her character and build tension over whether Tywin would realize her identity. Season seven only used such plot cul-de-sacs to trace the same patterns over and over again. You could conceivably blame this circular storytelling go Game of Thrones’ soap opera DNA, which often dictates that stories advance glacially, then all at once — an approach that may not have had enough room to breathe in season seven’s shortened seven-episode run (all of the show’s previous seasons ran for a full 10 episodes). But I would point to a different “culprit.” Namely, the way we talk about Game of Thrones, the way we consume Game of Thrones, and the way we think about Game of Thrones has almost no connection to its actual quality. We talk about Game of Thrones like it’s really happening. That’s a little weird. When Game of Thrones is on the air, it’s almost impossible to discuss anything else on TV if you have a job like mine. I could tell you how much I’m enjoying Freeform’s The Bold Type, or talk about how Showtime’s Twin Peaks revival feels like a weekly revelation, or mourn the end of Halt and Catch Fire. But inevitably, the conversation turns to Game of Thrones — as it must. There have always been shows like this. Whether it’s Seinfeld or The X-Files, The Sopranosor Lost, there are always shows that transcend their TV roots to become pop culture monoliths that everybody enjoys discussing and arguing about. When a show achieves that level of cultural omnipresence, not watching it is almost a commentary in and of itself. But where discussions about these culturally omnipresent shows usually center on some sort of element of the show itself — how will the writers handle this story? What’s the next big twist going to be? What joke made you laugh the most? — discussions around Game of Thrones tend to take the form of Monday-morning quarterbacking. Let’s offer military advice to Daenerys. Let’s fret over how Sam won’t listen to Gilly about a very significant wedding. Let’s rank and rate the political strategies of the show’s major players. I don’t mean to suggest this stuff isn’t fun. As someone who writes a weekly column naming the show’s major players as winners or losers, I can assure you it is very, very fun to treat this obviously unreal scenario as though it were really happening. Watching Game of Thronesfunctions somewhat similarly to sports — rooting for certain “teams” and really caring about events that you have absolutely no bearing on can be a good pressure release valve at a time when we’re all in need of as many pressure release valves as we can find. But it also, I think, lets the show off the hook a little bit. Let’s go back to that scene where Sam wouldn’t listen to Gilly, for example. It’s been written about in terms of its resonance with the way men don’t listen to women in the workplace, and in terms of the secret Gilly had likely uncovered, and in terms of a whole bunch of other things. But few have written about the scene in terms of it being as a really bad writing decision — a way to put off a major event we knew was coming in transparently silly fashion. It could have worked if Game of Thrones had leaned into the ridiculousness of how it was plainly stalling for time, but the show didn’t do that. It simply acted as though we all knew Sam couldn’t find out about Jon’s parents until the season finale. Season seven was replete with these sorts of bad writing choices, which were often saved by the performances or direction. The journey north to capture a wight made no logistical sense even before you introduce goofy timeline shenanigans — but boy did it look cool! 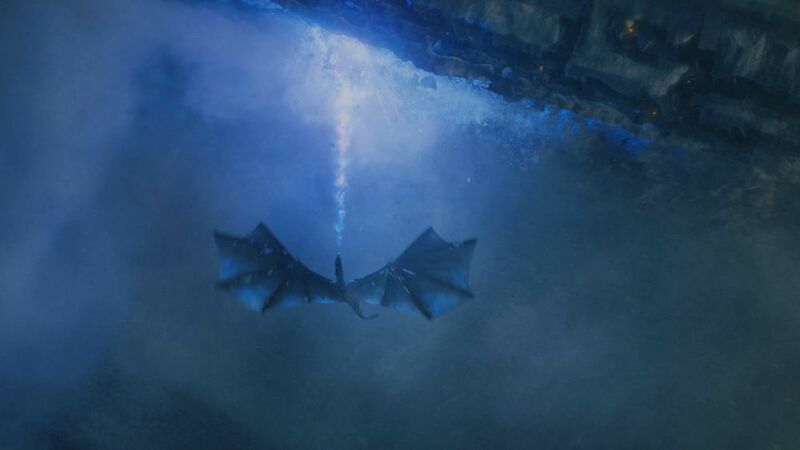 It’s not immediately clear if the Night King had a plan B to bring down the Wall if he didn’t somehow capture a dragon — but boy did it look cool! Cersei and Tyrion spent a huge chunk of time in the finale informing each other of things they already knew — but boy are those actors great! Please note that none of this means Game of Thrones is bad. I finished watching almost every episode of season seven with a stupid grin on my face, and it only became apparent how little sense it made once I started trying to write about it. But it’s in those moments when you step back and really scrutinize the show that you realize it’s just good and immersive enough to escape being evaluated as a piece of television. So instead, we talk about it like it’s the daily news. And that’s what might come back to hurt it in the end. 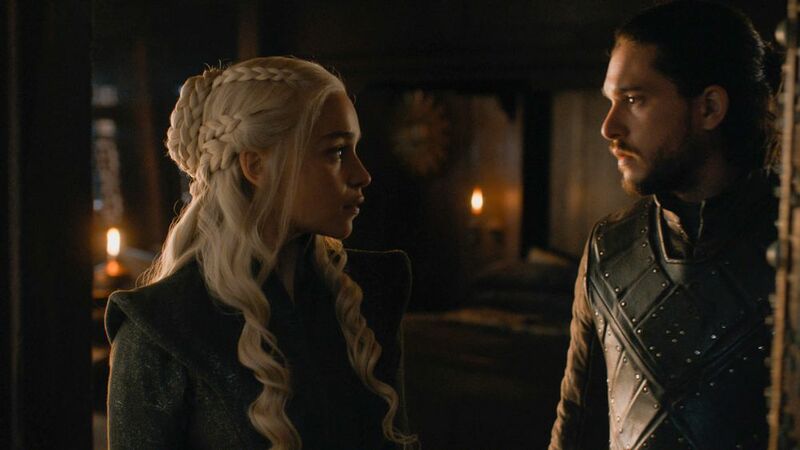 By offering up a penultimate season so devoted to misleading the audience and stalling for time and hauling out moments of fan service, Game of Thrones has only set the bar it has to clear in its eighth and final season that much higher.